Kendall Jenner has said she did not know much about Fyre Festival when she was paid thousands of dollars for an Instagram post to promote the ill-fated event. Kylie Jenner said she was “thrown back” when she realised her cosmetics company had slashed the price of a product inspired by her best friend Jordyn Woods following the Tristan Thompson scandal. Khloe Kardashian has shared a new photo of her baby True after blaming Tristan Thompson for the end of their relationship. Khloe Kardashian has said she blames Tristan Thompson for the end of their relationship. Khloe Kardashian has accused Jordyn Woods of lying after the model denied sleeping with Tristan Thompson. Jordyn Woods is set to appear on Jada Pinkett Smith’s chat show amid allegations she cheated with Tristan Thompson. Khloe Kardashian has posted emotional quotes on social media about “pain” and “betrayal” following reports that her partner cheated on her. Khloe Kardashian has said she was “tested time and time again” in 2018 as she reflected on a challenging year. Khloe Kardashian has explained why she spent Thanksgiving away from her sisters amid reports of a rift between her family and boyfriend Tristan Thompson. Khloe Kardashian has explained why she wanted Tristan Thompson to be in the delivery room while she gave birth to their first daughter days after he allegedly cheated. Tristan Thompson’s alleged cheating on a pregnant Khloe Kardashian is featured in a new trailer for the family’s reality TV show. Kim Kardashian West posted a cute picture of daughter Chicago playing with her cousin True. 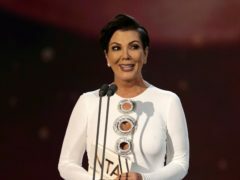 Khloe Kardashian has hit back at a fan who accused her of “embedding materialism” into her daughter after she was gifted a toy car. Khloe Kardashian has posted an adorable new picture of her daughter True. 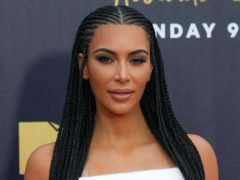 Kim Kardashian West has revealed her sister Khloe’s heartbreak over Tristan Thompson’s alleged cheating will feature on the upcoming season of Keeping Up With The Kardashians. 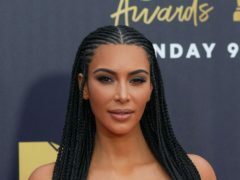 Kim Kardashian West has been unblocked from Tristan Thompson’s Instagram after confronting the NBA player in a hilarious video. Khloe Kardashian was left “tripping out” after seeing her Madame Tussauds figure in Las Vegas.